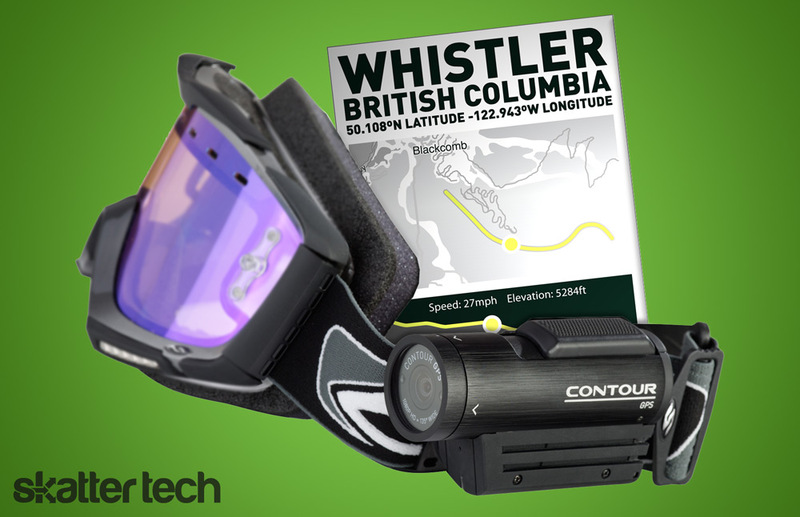 Contour has always been known for their durable action sports camcorders. When we first saw their devices last year at CES 2010, we were impressed with the wearable camera’s 1080p video quality and its unique laser alignment system. This year, Contour is changing the game again with the new ContourGPS model. The company’s new wearable camcorder goes above and beyond most alternatives. It features four different tall and standard video resolutions as well as still camera mode. While even previous models offered great quality, having to position the image blindly was often an issue. To solve that problem, Contour added the capability to stream a live video feed to smart phones over Bluetooth. The mobile application also allows browsing through previously recorded clips and even delete unwanted videos to save space. This feature alone puts the ContourGPS ahead of most competing solutions. The app is currently awaiting approval from the Apple App Store. Contour representatives also told us they are working on an Android app, which should be available this spring. In addition to their amazing mobile application, Contour also features a GPS module to track routes. Once a video is uploaded to the Contour website using the included software, users can seek through their videos by selecting a position on a map. Similar to apps such as RunKeeper, the GPS module will also track statistics such as speed and elevation. Contour’s software also makes it easy to make simple video edits to feature the best parts of your videos. The ContourGPS is now available for $350 while the original ContourHD is also available for a lower $280 without the GPS tracking or live smartphone monitoring features. For those running out to get the new ContourGPS, keep in mind that the live view application is still awaiting approval, but should hopefully be available soon.